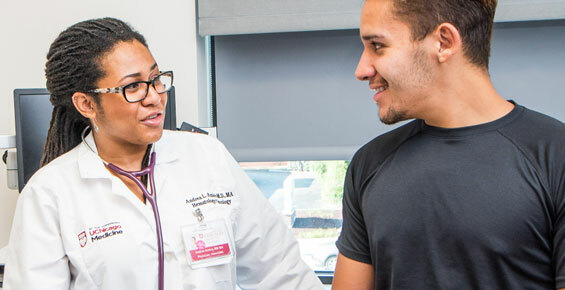 At the University of Chicago Medicine’s Center for Gastrointestinal Oncology, our cancer specialists have decades of experience treating stomach cancer (also known as gastric cancer). The highly respected team brings together specialists from our cancer and digestive disease programs, both consistently ranked among the best in the country by U.S. News & World Report. Our stomach cancer treatment team comprises specialists across a variety of disciplines — gastroenterology, surgical oncology, medical oncology, radiation oncology, nutritional care, pain management and more. These specialists work together to provide a comprehensive treatment plan tailored to the specific needs of each patient. Esophogastroduodenoscopy (upper endoscopy): A thin, flexible tube called an endoscope is inserted into the mouth and down into the upper gastrointestinal tract. The endoscope has a light source and camera at its tip, allowing the physician to see inside the stomach. The physician can also insert small tools into the endoscope to remove a tissue sample for testing in the lab. Endoscopic ultrasound (EUS): An endoscope is fitted with a special device, called a transducer, which emits and detects sound waves as they bounce off tissue. The transducer sends this data to a computer to create an image of the tissue. EUS is effective at visualizing the individual layers of the gastrointestinal tract, aiding in the detection and staging of cancerous lesions. Laparoscopy: A minimally invasive (laparoscopic) staging procedure may be performed immediately before a planned tumor removal surgery. CT and PET scans: These noninvasive scans allow physicians to more accurately stage stomach cancers. In some cases, an inherited syndrome contributes to an increased risk of developing stomach cancer. Hereditary diffuse gastric cancer (HDGC) is a syndrome that significantly increases risk for diffuse gastric cancer as well as lobular breast cancer. Carrying a mutation in the CDH1 raises the risk of diffuse gastric cancer as much as 70 percent for men and 56 percent for women. Our Gastrointestinal Cancer Risk and Prevention Clinic offers a personalized assessment for patients and families who may be at risk for developing stomach cancer due to genetic factors. For individuals with HDGC, our multidisciplinary and integrated team provides comprehensive and evidence-based care. Our team includes surgeons, gastroenterologists, genetic counselors, pathologists, oncologists, dietitians and psychologists. Our cancer experts determine an individualized treatment plan based on the stage of the cancer, the size and location of the tumor, if the tumor has spread to other organs or lymph nodes and other factors such as overall health. Treatment for stomach cancer typically involves a combined approach, which may include surgery, chemotherapy and/or radiation therapy. Not all patients will receive each type of treatment. Subtotal gastrectomy: The surgeon removes the cancerous area of the stomach, typically located in the lower part of the stomach, as well as the surrounding lymph nodes. In some instances adjacent organs (pancreas, spleen, colon, etc.) may need to be partially or completely removed in order to effectively eliminate the cancer. Total gastrectomy: The entire stomach is removed, often along with parts of organs near the tumor, such as the esophagus or small intestine. The surgeon will then create a new stomach out of tissue from the small intestine. Some early stage stomach cancers can be treated using robot-assisted and other minimally invasive techniques. During these procedures, the surgeon uses specially designed thin instruments to completely remove tumors in the stomach through small incisions. 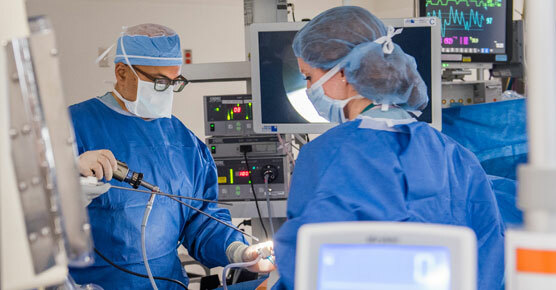 Benefits of minimally invasive surgery include less pain, quicker return to normal activities and less tissue damage than with traditional surgeries. When it considering surgery for stomach cancer, it's important to choose a surgeon who is highly experienced at performing these types of procedures. Studies show that patients treated at hospitals that perform a high volume of major cancer operations — such as gastrectomies — fare far better than those treated at hospitals that do fewer cases. Our surgeons have many years of experience performing gastrectomies and other types of major gastrointestinal surgeries. Some patients with stomach tumors are candidates for HIPEC (hyperthermic intraperitoneal chemoperfusion). In a HIPEC procedure, at the end of surgery to remove tumors, the patient's abdominal cavity is bathed in a heated, highly concentrated chemotherapy solution to eliminate residual cancer cells. UChicago Medicine is a leader in HIPEC and features a team of experts with many years of experience performing this advanced procedure. Chemotherapy is a systemic therapy that uses medicine to kill cancerous cells. For stomach cancer, chemotherapy is typically given to patients whose cancer is more advanced and has spread to lymph nodes and other organs. The drugs help slow the progression of the disease, and can help relieve symptoms such as pain, nausea and bloating associated with the cancer. Some patients will receive chemotherapy after surgery to help treat any cancer cells that went undetected and therefore could not be removed during surgery. 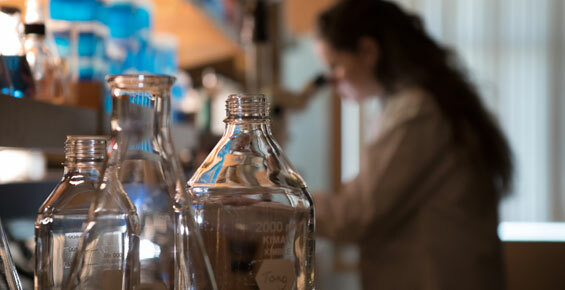 Our medical oncologists are conducting clinical trials of new drugs, including immunotherapy, for stomach cancer. These experimental medicines are not widely available at other hospitals. UChicago Medicine radiation oncologists use advanced radiation techniques to treat stomach and other gastrointestinal cancers, including intensity-modulated radiation therapy (IMRT), which delivers high doses of radiation more precisely than conventional radiation therapy. That allows normal tissues to be better protected, enabling higher doses aimed at the tumor. We have an array of technology and tools for immobilizing and targeting tumors. People who have stomach cancer have special nutritional needs. At UChicago Medicine's Center for Gastrointestinal Oncology, our stomach cancer treatment team includes an experienced nutritionist who works with patients to develop eating plans tailored to their nutritional needs. Our experts understand that symptoms associated with stomach cancer — such as pain and difficulty eating — can be troubling and uncomfortable. In addition to treatments designed to destroy cancerous tissue, our physicians offer palliative therapy. These treatments are aimed at lessening symptoms, but are often not likely to cure disease. Stent placement, which involves the insertion of an expandable, metal tube to relieve obstructions of the stomach and allow the patient to continue eating. Many patients in the advanced stages of stomach cancer will experience pain. We're dedicated to helping patients keep cancer pain under control. Our oncologists and anesthesiologists work together to determine the best pain management strategy, from oral medicines to nerve blocks. Find a stomach cancer clinical trial that's right for you.